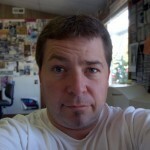 RockChat Rewind with Joe Milliken. 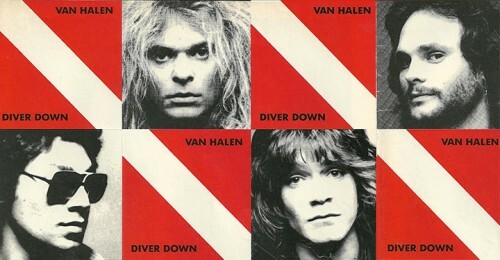 On this day in 1982, Van Halen released their fifth studio album titled “Diver Down.” Recorded for Warner Bros. Records at Sunset Sound in Hollywood (and Warner Bros. Recording) and produced by Ted Templeman, “Diver Down” consisted of 12 tracks, five of which were cover songs, and the album cover featured a “diver down flag,” a symbol used to indicate that a scuba diver is submerged. The back cover featured a photo of the band performing live at the Tangerine Bowl in Orlando, Florida. It was the record company’s idea for the band to record some cover songs, which wasn’t exactly met with open arms by Eddie Van Halen, but the band had just come off the road, then recorded a single (“Oh, Pretty Woman”) at the start of the new year, just to keep things rolling… and when the single became a hit, the record company started putting pressure on the band to get in the studio and produce a new album before they were prepared with enough new material. Hence, adding the cover songs to the mix. Eddie was also starting to feel like David Lee Roth and Ted Templeman were assuming more “creative control” of the band (such as the choosing of the cover songs) and he felt like the band was relying too much on “cover songs and B-sides,” rather than taking more time to write and record more original material. Over the years, Eddie has seemingly slighted the album as a creative whole. However, the band managed to record “Diver Down” in just 12 days, which included the aforementioned five cover songs, as well as two other songs, “Hang ‘Em High” and “Cathedral,” that were already completed, leftover songs from previous recording sessions. “Happy Trails” had also been left over from the band’s original 1977 demos that originally helped them land a record deal. Despite the album being rushed and seemingly “thrown together,” if you will, “Diver Down” would reach #3 on the Billboard album chart and was a big hit in America. The single “(Oh) Pretty Woman” reached #12 on the Billboard singles chart and “Dancing In The Street” climbed to #38. “Diver Down” has gone on to sell over four million copies worldwide.